Jennifer Chiaverini departs from her New York Times bestselling Elm Creek Quilts series to debut her first stand-alone novel, MRS. LINCOLN’S DRESSMAKER. This compelling historical novel unveils the private lives of the Lincolns from the time of their rise to White House glory, through the President’s shocking assassination and its tumultuous aftermath, until the end of Mary Todd Lincoln’s troubled life—all told from the perspective of the First Lady’s most trusted confidante and friend, her dressmaker Elizabeth Keckley. 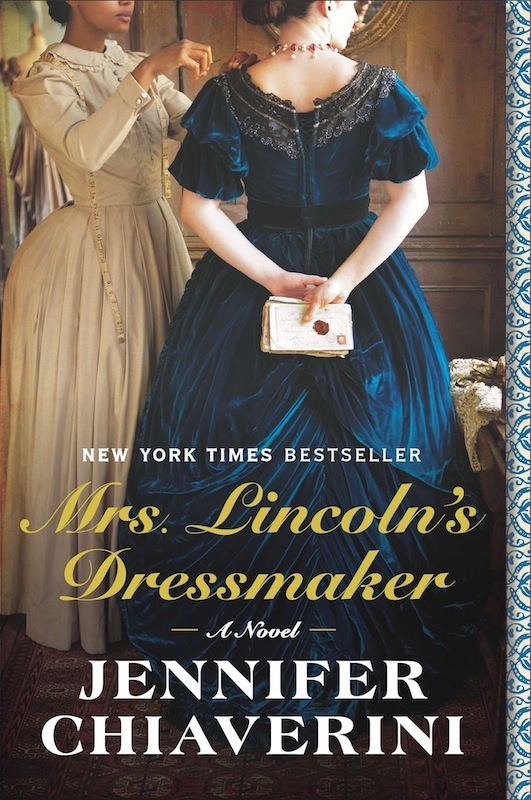 A New York Times bestseller, MRS. LINCOLN’S DRESSMAKER (Plume / September 24th / $16.00) is now available in paperback from Plume.